Got something on your mind? Throw it out. If you think it's important...... post it. Just as it looked like the fallout from the Boeing 737 MAX crashes was finally fading into the background, the New York Times is raising new questions about an entirely different Boeing plane, the Dreamliner 787. Workers at a Boeing plant in South Carolina are complaining about "defective manufacturing, debris left on planes and pressure to not report violations". An investigation that incorporated reviewing hundreds of emails and documents, as well as interviews with more than a dozen current and former employees, has arrived at the conclusion that Boeing pushed speed over quality when it came to its Dreamliners - a story similar to the 737 MAX, which we reported faced similar critiques. This has lead to the question whether the issues at Boeing are limited to the 737, or if they are systemic. According to the report, Boeing's North Charleston plant has come under fire for safety lapses, and the facility has also drawn the scrutiny of airlines and regulators. In fact, Qatar Airways even stopped taking planes from the factory after "manufacturing mishaps damaged jets and delayed deliveries". On top of that, there have been nearly 12 whistleblower claims about the plant with regulators. They describe issues like manufacturing, debris left on planes and pressure to not report violations. Additional whistleblowers have skipped that step and gone right to suing Boeing, claiming that they were victims of retaliation for bringing up manufacturing mistakes. Joseph Clayton, a technician at the North Charleston plant claimed he often found debris dangerously close to wiring beneath cockpits. He said: "I’ve told my wife that I never plan to fly on it. It’s just a safety issue." 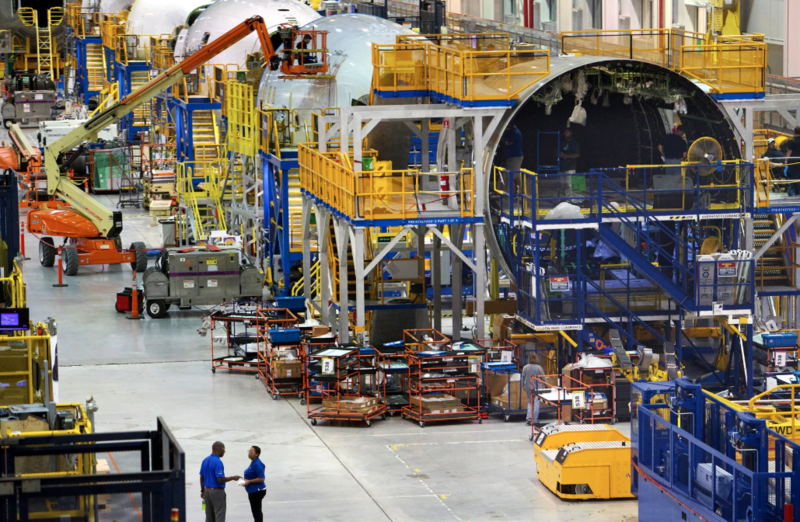 Kevin McAllister, Boeing’s head of commercial airplanes, said in a statement: "Boeing South Carolina teammates are producing the highest levels of quality in our history. I am proud of our teams’ exceptional commitment to quality and stand behind the work they do each and every day." Among other things, employees have claimed that faulty parts have been installed in planes, tools and metal shavings have routinely been left inside jets, often near electrical systems, and aircraft have taken test flights with debris in an engine and a tail, risking failure. John Barnett, a former quality manager who worked at Boeing for nearly three decades said that he found metal slivers hanging over the writing that commands the flights controls. Barnett said if the sharp pieces penetrated the wires, it would be "catastrophic". He was so concerned that he filed a whistleblower complaint with regulators. He said he had repeatedly urged his bosses to remove the shavings, but they refused and then transferred him to another part of the plant. An FAA spokesman said the agency conducted inspections on several plans certified by Boeing as free of debris, but found the same metal slivers. It is a problem that can lead to electrical shorts and cause fires. Officials also believe the shavings may have been the cause of damage for an in-service airplane on an occasion in 2012. The FAA wound up issuing a directive in 2017 that Dreamliners needed to be cleared of shavings before delivery. Barnett said: "As a quality manager at Boeing, you’re the last line of defense before a defect makes it out to the flying public. And I haven’t seen a plane out of Charleston yet that I’d put my name on saying it’s safe and airworthy." But wait there's more: another issue popped up right after the 2nd 737 MAX crash: customers were finding random objects in new planes. Customers like the Air Force have also been turned off by the manufacturing sloppiness. In March, they stopped deliveries of the KC-46 tanker after finding a wrench, bolts and trash inside new planes. Workers at the SC plant said debris is a continual issue. Rich Mester, a former technician who reviewed planes before delivery said: “I’ve found tubes of sealant, nuts, stuff from the build process. They’re supposed to have been inspected for this stuff, and it still makes it out to us.” Mester has been fired and a claim on his behalf was filed with the National Labor Relations Board. Dan Ormson, who worked for American Airlines said he used to "regularly" find debris when inspecting Dreamliners. The debris included loose objects touching electrical wiring, rags near the landing gear and once finding a piece of bubble wrap near the pedal the co-pilot uses to control the plane’s direction. He also once saw that a bolt was loose inside one of the engines, which could have caused it to malfunction. Another Dreamliner built for American Airlines suffered a flood in the cabin so bad that ceiling panels, seats and electronics had to be replaced. One current technician at the plant recently found chewing gum holding together a door’s trim. He said: “It was not a safety issue, but it’s not what you want to present to a customer.” Several former Boeing employees also told the NYT that managers pushed quality inspectors to stop recording defects. Mester concluded: "They’re trying to shorten the time of manufacturing. But are you willing to sacrifice the safety of our product to maximize profit?" You can read more troubling details in the extended NYT report here. Regulators from Australia, Brazil, Canada, China and Europe are among the nine authorities that have confirmed they will participate in the Boeing 737 MAX Joint Authorities Technical Review due to begin at the end of the month. The US Federal Aviation Administration announced the list Friday US time and said the first meeting is due to take place on April 29. The review is expected to take 90 days and is being chaired former national transportation safety Board chairman Chris Hart. “The team will evaluate aspects of the 737 MAX automated flight control system, including its design and pilots’ interaction with the system, to determine its compliance with all applicable regulations and to identify future enhancements that might be needed,” the FAA said. The review is one of several being undertaken into the certification of the MAX following the crash of two aircraft in less than five months. Boeing is working on modifications to a controversial software linked to both crashes, the maneuvring augmentation characteristics system, MCAS. 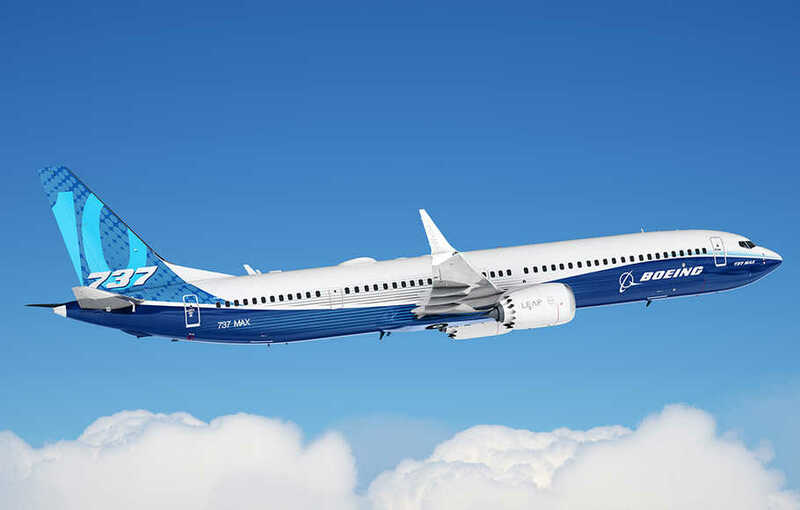 Boeing chief executive Dennis Muilenburg tweeted on April 16 that the company was making steady progress towards certification of the software and related training changes. The company had just completed the last official engineering test flight of the updated software prior to a certification flight with the FAA. Muilenburg said this had involved 120 MAX flights totaling more than 203 hours of flying time. He had completed a demonstration flight and had seen first hand the software in its final form “operating as designed across a range of flight conditions”. However, potential differences emerged between Canada and the US on whether training for the new software should be in a simulator or be computer-based. Dealing another blow to public confidence in Boeing's ability to swiftly reassure regulators that its 737 MAX 8 can be made safe for passenger travel, the South China Post on Monday reported that China Aircraft Leasing Group Holdings has put an order for 100 new 737s on hold, until it can be assured of the aircraft's safety. This follows a decision by Indonesia's national carrier to cancel a $6 billion 737 MAX order. The airline had been planning to order 49 planes. Boeing last week said it would cut its pace of production by 20% to just 42 a month. China was the first country to ground the 737s after Ethiopian Airlines flight ET302 crashed just minutes after takeoff - the second deadly incident involving the planes in just 5 months. A preliminary report from investigators found that the pilots followed Boeing's safety procedures, but were still unable to right the plane. Boeing is working on an update of its MCAS anti-stall software, which is believed to have contributed to both the crash of ET302 and a deadly Lion Air crash that occurred just five months earlier, but the fix is taking longer than anticipated. Per its original delivery schedule, the first 737 was supposed to be delivered to the aircraft lessor in Q3 of this year. Originally, the lessor signed its contract with Boeing in June 2017, ordering 50 aircraft, then increasing it by 25 with an option for another 25. The order for the initial 50 aircraft was valued at $5.8 billion. The company said it has stopped paying installments on the planes it has ordered. The Hong Kong-listed lessor, controlled by the state-owned conglomerate China Everbright Group, placed an order for 50 aircraft in June 2017. CALC then increased it by another 25 in December with an option for 25 more as part of its plan to grow its overall fleet from 133 in 2018 to 232 by 2023. According to the original schedule, the first MAX jet was expected to be delivered to CALC in the third quarter of this year and continue up to 2023. "The purchase has been suspended and we have stopped paying the installments," said Chen Shuang, chairman of CALC and chief executive of China Everbright, the financial arm of China Everbright Group. Airlines around the world have grounded the 737s, and last week, the FAA set up a joint review task force that is expected to include other aviation regulators, including possibly China's, which has been invited to join. Most of the deliveries weren't expected until 2021, so the hold won't impact the lessor's operations, its spokesman said. A CALC spokeswoman said that since most of the deliveries to the company were to be made from 2021, "so we see little or no impact on our operations." Chen said that they have received assurances from Boeing that “a better solution will be submitted to CALC within two months”, adding that they have not yet discussed compensation. Chen said both sides are actively seeking a solution to the problem. "One option being considered is to replace it with other aircraft. But there aren’t too many options," said Chen. 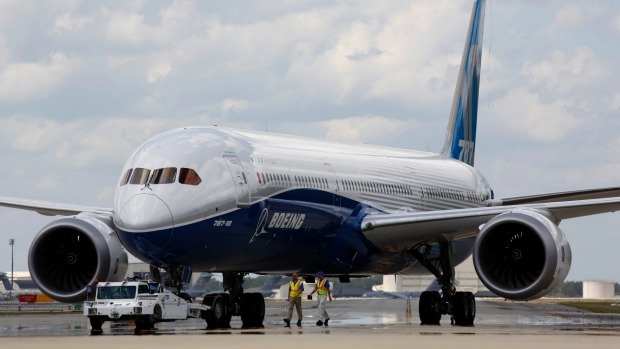 Of course, the last thing Boeing shareholders wanted to hear after last week's string of negative headlines was more bad news, particularly after the late-Friday announcement of its production cut, which the company had clearly hoped to sneak by the market. And following the revelation that Boeing might soon have a second large cancellation on its hands, Boeing's shares - already lower - have sunk even further in premarket trading, weighing on the Dow. 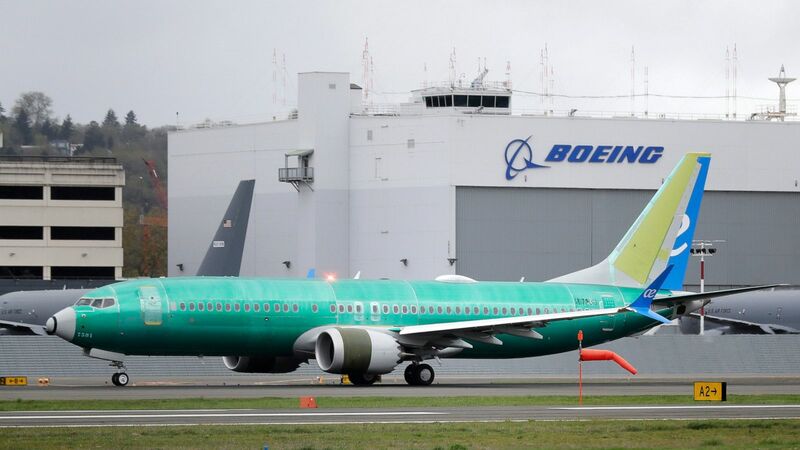 Multiple whistleblowers have come forward claiming that Federal Aviation Administration (FAA) safety inspectors were not properly trained and did not hold valid certifications on the Boeing 737 Max aircraft, according to a letter to FAA Acting Administrator Daniel Elwell from Sen. Roger Wicker (R-MS). "Allegations from these whistleblowers include information that numerous FAA employees, including those involved in the Aircraft Evaluation Group (AEG) for the Boeing 737 Max, had not received proper training and valid certifications," the letter reads. "Some of these FAA employees were possibly involved as participants on the Flight Standardization Board (FSB)," a group formed to evaluate the 737 Max 8 to determine requirements to rate pilots, develop minimum training recommendations, and to ensure "initial flightcrew member competency." Two Boeing 737 Max 8s were involved in similar crashes within a five month period, while investigators are pointing to sensor failures connected to an anti-stall system known as the Maneuvering Characteristics Augmentation System (MCAS). Of note, an off-duty pilot flying in the jumpseat on a Lion Air 737 Max 8 last October was able to talk pilots through disabling the MCAS system on the same plane that crashed a day later off the coast of Indonesia, killing all 189 on board. The FAA whistleblowers also claim that the FAA may have been informed of the 737 Max 8s deficiencies as early as August 2018, two months before the Lion Air crash. As we noted last month, several Pilots repeatedly warned federal authorities of safety concerns over the now-grounded Boeing 737 Max 8 for months leading up to the second deadly disaster involving the plane, according to an investigation by the Dallas Morning News. One captain even called the Max 8's flight manual "inadequate and almost criminally insufficient," according to the report. "The fact that this airplane requires such jury-rigging to fly is a red flag. Now we know the systems employed are error-prone — even if the pilots aren't sure what those systems are, what redundancies are in place and failure modes. I am left to wonder: what else don't I know?" wrote the captain. At least five complaints about the Boeing jet were found in a federal database which pilots routinely use to report aviation incidents without fear of repercussions. The complaints are about the safety mechanism cited in preliminary reports for an October plane crash in Indonesia that killed 189. One captain who flies the Max 8 said in November that it was "unconscionable" that Boeing and federal authorities have allowed pilots to fly the plane without adequate training - including a failure to fully disclose how its systems were distinctly different from other planes. Investigators believe the controversial software update implicated in the crash of a Lion Air Boeing 737MAX was also involved in the March 10 destruction of an Ethiopian Airlines jet. Quoting sources familiar with a high-level briefing to the US Federal Aviation Administration, The Wall Street Journal reported that an emerging consensus among investigators was that the Manoeuvring Characteristics Augmentation System, or MCAS, was involved in both crashes. The two crashes claimed a total of 346 lives and plunged manufacturer Boeing into crisis. The newspaper warned that that preliminary finding from the flight data and cockpit voice recorders was subject to revision and said a preliminary report from Ethiopian investigators was due “within days”. The global Boeing 737 MAX fleet remains grounded because of worries about similarities between the two crashes. The FAA, which is facing several investigations into the certification of the plane, was the last agency to ground the MAX on March 13. It defended the delay by arguing hard data suggesting a link between the two flights was not available until just prior to the decision. That new information included a newly refined satellite data of the aircraft’s flight path and evidence found on the ground, believed to be a jackscrew that moves the horizontal stabilizer. Boeing was already working on changes to MCAS and pilot training when the second crash occurred and this week released details of the changes. It said it had complete confidence in the safety of its new software fix. MCAS activates in manual flight when the flaps are retracted and is part of the speed trim system that automatically commands changes to the horizontal stabilizer to trim the plane so there are no net forces on the control column. Erroneous data from an angle of attack (AoA) sensor prompted MCAS to repeatedly push down the nose of aircraft in the Lion Air crash, something the pilots fought instead of deactivating the system. The angle of attack measures the position of the aircraft nose in relation to airflow. The original version of MCAS took information from just one Angle of Attack sensor but there are two on the aircraft and the new version will compare inputs from both. If the sensors disagree by 5.5 degrees or more with the flaps retracted, MCAS will not activate and an indicator on the flight deck display will alert the pilots. If MCAS activated in abnormal conditions, the new software will only provide one input for each elevated AoA event instead of resetting itself repeatedly. It will also not be able to apply more force to the horizontal stabilizer than can be counteracted by the flight crew pulling back on the column. Boeing is also making standard an AoA disagree alert that will tell the pilots if the two AOA sensors disagree by more than 10 degrees for more than 10 seconds. “We’re going to do everything we can to ensure that accidents like these never happen again,’’ Boeing Commercial Airplanes vice product of product development Mike Sinnett told reporters this week. This is a major project by the Al Jazeera Investigative Unit focusing on the 787 “Dreamliner”, the flagship passenger jet of the Boeing Company. 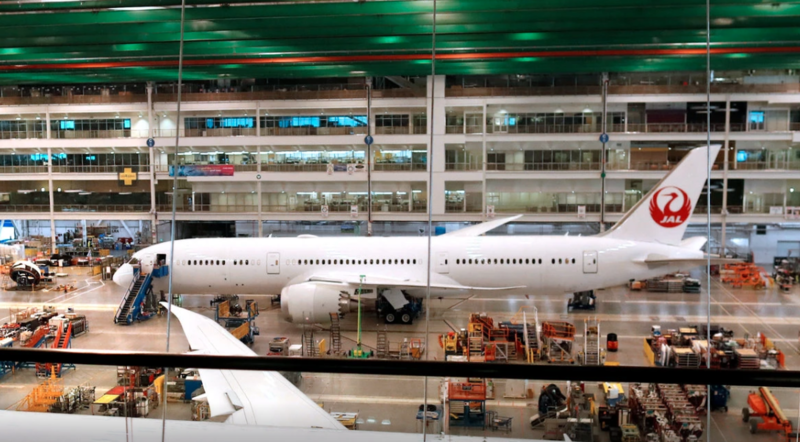 Our journalism reveals the deeply-held safety concerns of current and former Boeing engineers, who in some cases fear to fly on the 787, the plane they build. We uncover allegations of on-the-job drug use, quality control problems and poor workmanship. We explore the roots of the battery problems that led to the plane’s grounding due to safety concerns for three months from January 2013. Credits: Senior Producer/Director: Marc Shaffer, Producer/Director of Photography/Editor: Colin McIntyre, Producer: Kevin Hirten, Reporter/Producer: Will Jordan, Music: Ryan Whittier, Additional Music: Sean Hirten. The B 737 MAX is a faulty design from the beginning. Anyone who knows anything about aerodynamics will recognize it immediately if they only look at the aircraft. The example of the Boeing 737 and especially the latest development stage MAX 8/9 shows how fatal it is when it is not engineers who make the decisions, but merchants. No engineer in his right mind would have built the 737 MAX like this if he hadn’t been forced to do so by greedy managers. The nearly 400 deaths in two crashes were caused by Boeing’s board of directors, as well as the threatening bankruptcy of the entire company. Boeing’s B 737 was a crutch right from the start. When Boeing planned the B 737-100 in the early 1960s, a seat configuration of 2/3 was planned, as with the DC 9. Lufthansa, as the largest first customer for the “City-Jet”, wanted a 3/3 version, as with the B 727 and the B 707. However, the construction was already advanced and so the tinkering began in order to save costs. Boeing simply left the already planned cockpit as narrow as it was and so the pilots still have to squeeze themselves into a cockpit for all versions of the 737 for which you actually need a shoehorn to get in. But this mini cockpit is of course lighter than an ergonomically sensible one and so the merchants are happy. But that wasn’t the only cost-saving (lazy) compromise. The nose and main landing gear were not designed for the now larger hull from the beginning. Our flight engineers told me that during their studies of aeronautical engineering in the 1960s the nose landing gear of the 737 was presented to them as a negative example of how not to do it. Nevertheless, the B 737-100 became a successful model, which was mainly due to a lack of competitor models. In the 1970s, the B 737 was modernised for the first time with the model B 737-200. The more powerful JT-8 engines were still small in size and fitted under the low wings. Boeing responded to the contemporary requirements for bad weather conditions with an autopilot construction that was a crutch from the beginning but is still used in all B 737 models today. This led, for example, to the crash of the “Fly Dubai” in Rostow in April 2016. Boeing introduced the 737-300 model in the mid-1980s. It had a “glass cockpit” like the Airbus A 310 (with screens instead of a “clock shop”) and modern engines with a large front rotor. Boeing would have had to carry out a new design already here, because the engines no longer fit under the low wings. In order to save the costs for a new construction and above all the complex approvals for it, the next crutch came. The engine was placed a bit higher and further forward and the intake of the engine was flattened at the bottom so that it wasn’t too close to the ground and so absorbed every stone from the ground, which would have destroyed the engine. In the further years Boeing has “drilled” the 737 more and more with the models up to -800. Boeing has not changed anything about the basic construction from the 1960’s with its deficits. It is simply inexpensive for the production to continue using already certified units. At the end of the 1980s Airbus introduced the A 320, which was a completely new design and Airbus set standards in terms of flight guidance systems and design. The A 320 became a direct and successful competitor for the B 737. Boeing came under pressure, but was able to win more customers for its crutch 737 because of the favourable purchase price. This was also because Airbus could not deliver as many aircraft as the worldwide demand was. Here we are faced with a fundamental problem in international aviation: enormous growth, especially in Asia and Africa. There is a lack of qualified junior pilots and mechanics with sufficient experience. Airbus had anticipated this problem and designed the A 320’s flight guidance systems to provide meaningful support for even less experienced pilots. Boeing is trying to catch up, but is not able to reach the A 320, which was designed more cleverly from the start. Airbus has once again set new standards with the A 320-neo. Now we have to look at the markets for this class of aircraft. They are not just now in areas where other qualities are desired than in Europe. Even in the USA, airlines do not have the capacity to land in extremely poor visibility. To date, there are only a few airports in the USA that offer the ground-based conditions for a landing according to “Category III”, i.e. for visibility below 100 metres. These conditions are expensive, on the ground and in the air. In Africa or Southeast Asia they practically do not exist at all, simply because the demand is not there. This also explains why Boeing never set about bringing its crutch from an autopilot to a decent level. An estimated 90 percent of customers have no need. With high oil prices, the demand for fuel-saving models has increased. Airbus has once again set standards with the A 320-neo and its particularly efficient engines. Boeing was in a tight spot. But the super engines of the A 320 simply did not fit under the wings of the old B 737 anymore. But instead of finally constructing a completely new model, the Boeing merchants decided to build the ultimate crutch beyond all aerodynamic rules. The engines that were too big for the 737 were moved even further forward and upwards. During the first test flights it turned out that the physics cannot be outwitted so simply. The airflow of the engine now passed directly under the wing, which must have several negative effects. Once the lift is influenced negatively, but the biggest problems were in the extreme slow flight, that is shortly before the stall, which can lead to a crash. In this situation, the airflow from the engine of the 737 MAX is located under the entire lower outer wing, which puts the aircraft in an uncontrollable state. Instead of finally redesigning the aircraft, Boeing’s managers opted for the worst crutch: they had a system installed that takes full control of the aircraft at this limit. If a sensor, and only one sensor, detects this limit, the attached computer causes the aircraft to move the tailplane trim to “nose down”. That wouldn’t be wrong in principle, but it would overshoot the mark. The fact that this deadly system has no control system, which as such should not occur in aviation, has now proved fatal twice. This means that if this single sensor gives an error message, pilots have little chance of preventing their aircraft from flying into the ground without being pointed. The hole in Ethiopia’s ground speaks for itself. It’s not the engineers who are responsible, it’s the managers. Now you should know that the tailplane trim of all smaller Boeing models has always been a prone crutch. It’s a motor-spindle unit that tends to “run away” or jump out and jam if a relay fault occurs. For this reason there was a prominently placed emergency switch on the B 727 with which the trim motor could be switched off. This was practiced in the simulator. The newer 737 models no longer have this emergency shutdown device. So the pilots can’t switch off the trim motor and save the plane even if they recognized the error. They would have to switch off the entire busbar on which the trim motor hangs. But this would shut down other elementary systems and it is a process that cannot be carried out in a fraction of a second. So if the only sensor for the angle of attack sends a wrong signal to the only computer, then this aircraft can no longer be saved, at least if it flies at low altitude. The B 737 MAX is a faulty design right from the start. Anyone who knows anything about aerodynamics will recognize it immediately if he only looks at the aircraft. It forms the tip of a series of crutch constructions that run through the entire history of B 737 development. It is not engineers who are responsible for this, but the managers who force the engineers to build crutches against their better judgement. The fact that this better knowledge is actually happening again is proven by the fact that there is an e-mail from summer 2018, i.e. before the first crash, in which Boeing employees already document what effects this design error can have. Boeing’s board of directors did not react and accepted so approvingly that exactly what happened twice within a few months happens – with almost 400 dead. In addition to Boeing’s managers, the heads of the FAA, the American regulatory authority, must of course also be called to account. They certified the airworthiness of the 737 MAX, although they had to know what kind of crutch it was. So it is not surprising that the FAA was the last to ban the 737 MAX from flying. It is already a unique event in the history of aviation that individual countries all over the world first had to rush ahead with flight bans, before the authority actually responsible for them desists to do so. However, this was preceded by a unique process. It was not the FAA or the manufacturer Boeing that banned the 737 MAX from flying in the USA. It was Donald Trump who pulled the emergency brake with a decree. After that, the FAA and Boeing could no longer help but to follow the step that would have been due by summer 2018 at the latest. Also interesting is the next procedure, which is again unique: Ethiopia did not leave the accident investigation to the FAA or Boeing. Contrary to standard procedures, the investigation was transferred to the French BEA and the flight recorder was sent to Paris for investigation. This is almost a declaration of war on the American aircraft industry, but at least a demonstration of how little trust remains in the integrity of American institutions. This is probably also a consequence of the fact that in expert circles a large number of deliberately falsified results are known which the American authorities have delivered on aircraft accidents. Let us just think of the TWA 600, which was downed by an American rocket and which was concealed from the public and even from us pilots with all its criminal methods. The history of the B 737 MAX and all 737 models shows the state of the USA and its (aircraft) industry. For even short-term profit, all rules are set aside that have been developed for decades out of bitter necessity. What role do a few hundred deaths play when it comes to saving profit? The FAA itself is obviously corrupted through and through and here comes the next interesting aspect. Donald Trump obviously knows this, because he wanted to put his personal chief pilot on the FAA’s executive chair, but this met with massive resistance. There we have the next point, why the American establishment hates Trump so much. He obviously wants to dry up the swamp at all levels. If he had his way, it’s not unlikely that the 737 MAX in this configuration wouldn’t have been approved and 400 people wouldn’t have been crushed. Another piquant detail is that from the beginning warnings came from Russia regarding the airworthiness of the 737 MAX. The disasters with the B 737 MAX have put the entire aviation industry in great distress. There will also be bottlenecks in Europe in the charter summer of 2019. But for Boeing itself it can mean the end. After all, several hundred copies of the 737 MAX have already been delivered and will probably have to be scrapped, because a simple retrofit with software cannot solve the basic problem of the faulty design. Simply resuming production of the old models of the 737 is no solution. It’s not that simple and who would want to have an airplane that can’t survive next to the A 320 neo? The 737 MAX case makes it clear that turbo capitalism cannot exist in the long run. The whole world cannot function “sustainably”, and aviation certainly cannot, if only profit is the determining element. Not only the “diesel scandal” shows this, now drastically Boeing. So what we need is a radical rethink. Capital and its managers and profiteers must be deprived of power and given back to reason and public spirit. This applies not only to the aircraft and car industries, but above all to the pharmaceutical industry, which does not want to heal people at all, but pursues the primary interest of selling more and more medicines to healthy people. However, in order for an improvement to be possible, and in order to prevent thousands of people from continuing to lose their lives because of profit-seeking, the entire system must be fundamentally overhauled. This must be radical and must not leave out anything that should have been questioned long ago. In this sense we have developed “The Human Market Economy” from scratch and I don’t think it is excessive to say that exactly this revolutionary system according to Haisenko/von Brunn has the potential to solve all, repeat all, the problems under which humanity suffers under the religious-capitalist dictatorship. Amid a rising chorus of calls for the FAA to ground the Boeing 737 MAX 8 after this weekend’s crash of Ethiopian Airlines Flight 302, Boeing announced that software updates are being readied ahead of an expected Airworthiness Directive “no later than April.” Meanwhile, two US Senators have demanded the FAA ground the airplane. The FAA has not moved toward grounding the 737 models, stating that it is working with the NTSB and local accident investigators, and "will take appropriate action if the data indicates the need to do so." Focus on the 737 MAX’s MCAS continues as a possible explanation for the Ethiopian Airlines crash based on initial reports of its flight path, with a rapid descent that is eerily similar to the Lion Air 737 that crashed last November. However, Reuters is reporting that witnesses saw the Ethiopian aircraft “making a strange rattling noise and trailing smoke and debris” just before impact. Accident investigatgors from the NTSB and Boeing are due at the crash scene today. As we reported earlier, both the Cockpit Voice Recorder and Flight Data Recorder have been recovered from the crash site. Last year, Congress passed a law that required future, newly-manufactured commercial airplanes to be installed with secondary security doors between the cabins and cockpit so as to prevent terrorists from attacking pilots who took bathroom breaks or meals. The legislation did not address existing aircraft, so some lawmakers have introduced a new bill, called the Saracini Enhanced Aviation Safety Act after the pilot Victor Saracini who was killed in the 9/11 attacks. It would require this new security measure on all passenger jets, currently in operation or otherwise. Airplane hijackings are extremely rare these days, with only one occurring in 2018, none in 2017, and seven in total in the last five years, all without casualties according to the Aviation Safety Network. However, Democrats Andre Carson and Josh Gottheimer and Republican Brian Fitzpatrick and Peter King, who are leading the new bill, said that hijackings remain a threat and secondary barriers would allow pilots to close a cockpit door before opening another to the rest of the plane. He was echoed by Rep. Josh Gottheimer: "Securing the safety of our skies is absolutely critical to preventing another terrorist attack like 9/11. I was proud to cosponsor bipartisan legislation last Congress requiring secondary barriers on new commercial aircraft to help stop terrorists on airplanes. Now that it’s law, we need to go a step further to protect our country by requiring all commercial aircraft to have secondary cockpit barriers. We must do everything we can to prevent all terror attacks on our country, and that includes in our skies." Perhaps, they’re right. A study by the Federal Aviation Administration found that secondary doors would be the most efficient, cost-effective form of protection for pilots, who are vulnerable when they step out of the cockpit. The barrier would be a lightweight, wire-mesh door that costs only $5,000 per aircraft. According to the Daily Mail, Airlines for America, an industry trade group that represents airlines like United and American, argues that carriers should take the lead on whether to install such systems or not. 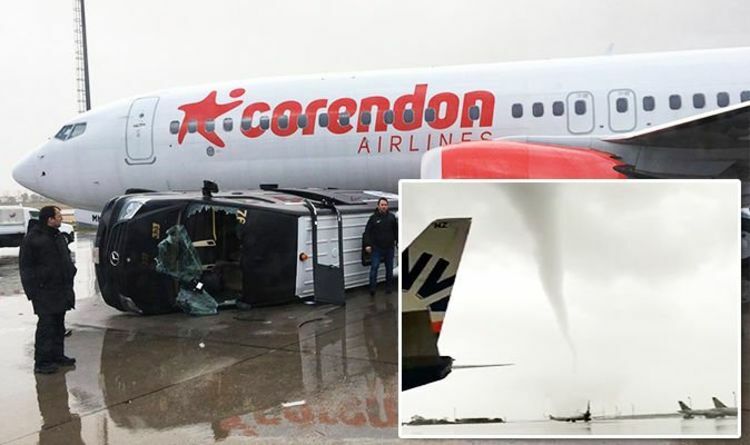 A tornado ripped through the airport at Antalya Turkey on Saturday, injuring 12 people and causing millions of dollars in damage as it marched down a line of airliners parked on the ramp. None of the injuries are considered life threatening. The wind knocked over buses and service vehicles on the ramp and pushed equipment into the airliners. Large pieces of debris also struck the planes and the terminal building. Officials said three buses and several pieces of ground equipment were toppled. The twister was one of as many as five that touched down in Antalya, which was just recovering from a tornado and major storm that hit the region on Thursday. The same storm brought heavy rain to the coast and snow to the mountains of the Balkan region and Turkey. The last scheduled passenger flight of a Boeing 727 was reportedly conducted Jan.12 by Iran Aseman Airlines. The aircraft, a relatively new Boeing 727-200 Advanced (it was built in 1977), flew as EP851 on a domestic flight from Zahedan to Tehran. The low-key final flight marked the end of a remarkable 55-year run for the tri-engine jet that was a state-of-the-art improvement in speed and efficiency when it was introduced in 1962. Although a few 727s remain in freight and even executive service, most of the 1,831 produced until 1984 were retired by early in this century because they’re noisy and gobble fuel. When the 727 entered service with Eastern Airlines in 1964, it carried as many passengers as four-engine airliners but flew higher and went faster. It became a fixture on domestic routes but was eventually eclipsed by twin-engine short-haul models. Thanks to decades of trade sanctions, Iran hasn't been able to buy new airliners or spare parts for the legacy airliners it operates. Police have arrested two suspects - a 47-year-old man and 54-year-old woman from Crawley - believed to be the perpetrators of a bizarre incident that brought air traffic at Sussex's Gatwick airport to a grinding halt for 36 hours this week when drones were spotted flying over the airport's runway, according to the BBC. Due to the risks of a collision between the drones and commercial aircraft, departing and arriving flights at Gatwick were cancelled for 36 hours, impacting the travel plans of some 140,000 people and leaving some stranded in the airport for more than a day. If found guilty of violating laws prohibiting the piloting of drones within one kilometer of an airport, the couple could face up to 5 years in jail - not to mention the enduring ire of the British people. Though delayed passengers are still in the process of being accommodated, Gatwick said Saturday it aimed to run "a full schedule" of 757 flights carrying some 125,000 passengers. During the disruption, some 1,000 flights were cancelled. According to the Sun, the couple was arrested after a cyclist was spotted "frantically" packing a drone into a bag near the airport. Sussex Police said today: "A 47-year-old man and a 54-year-old woman, both from Crawley, were arrested in the town on suspicion of disrupting services of civil aviation aerodrome to endanger or likely to endanger safety of operations or persons." "They remained in custody at 11am on Saturday." It comes as driver Paul Motts, 52, told The Sun how he spotted the man "in this 30s and in hi-vis clothing" in a country lane four miles from the runway on Thursday night. The EDF Energy manager said: "I was delivering a parcel and drove past a suspicious man in fluorescent cycling gear crouching over a large drone which was all lit up." "It was a big thing with lights on its arms and roughly 4ft across." "He had a smaller drone, about 2ft across, next to him." "He was leaning over and doing something to it. He was totally focused and did not look up when I drove past." "It looked like he was packing the drones away. Two minutes later we turned around and came across him cycling away." "I expect he wanted to disassemble the drone as quickly as possible and get away as fast as he could." "It was pretty weird considering what had happened at the airport during the day." Police said the arrests were made following raids "in the Gatwick area". Though they added that the investigation into the incident is ongoing. Sussex Police confirmed last night they had arrested a man and a woman after raids were carried out "in the Gatwick area". Police Superintendent James Collis said: "As part of our ongoing investigations into the criminal use of drones which has severely disrupted flights in and out of Gatwick Airport, Sussex Police made two arrests just after 10pm on 21 December." "Our investigations are still ongoing, and our activities at the airport continue to build resilience to detect and mitigate further incursions from drones by deploying a range of tactics." "We continue to urge the public, passengers and the wider community around Gatwick to be vigilant and support us by contacting us immediately if they believe they have any information that can help us in bringing those responsible to justice." The runway at Gatwick reopened this morning but passengers are urged to check their flights before travelling as as delays and cancellations are set to enter a fourth day." To bring about an end to the chaos, the Army employed "drone killer" technology used in the fight against ISIS to try and disable the drones, though it's unclear how effective the technology was (particularly after the drone made at least one return appearance after flights resumed on Friday). The technology uses radio-jamming frequencies to crash the drones. The Israeli-made tech has been used in the fight against ISIS in Mosul last year. Ruling out the possibility that the drone activity was some kind of accident, a spokesman for Gatwick said the flight patterns suggest the drone flights were a deliberate attempt to paralyze traffic on the busy holiday weekend. At one point, the drone was flown close to Gatwick’s control tower and even flashed its lights at police officers in what the Sun described as a deliberate taunt. Now that the incident is (hopefully) resolved, here's a timeline of events that showcases just how disruptive the incident was. Given the relatively high ROI in terms of disruption compared with the cost and difficulty in pulling this off, airports around the world are on high alert for copy cat attacks that could prove even more disruptive. Update 2: All flights out of Gatwick (Europe's eighth largest airport) remain grounded as the army is helping local police hunt for the anonymous drone pilot (or pilot) who has disrupted the holiday travel plans of tens of thousands of people, according to AFP. British Prime Minister Theresa May vowed to take action, and said she sympathized with those affected. "We will continue to work with the Gatwick authorities and police will be working...in order to bring this to a close," she said at a press conference in London. It's still unclear when flights might resume. Update (11:20 am ET): The military has arrived, and the 'dronekillers' are coming out. According to the latest reports, the Royal Army is deploying 'specialty equipment' to take down the troublesome drones that have ground traffic at the airport to a halt by lingering over the airport's runway. It's also possible that the military could deploy new technology to 'jam' the drone signals and take control of the aircraft, as one official told the House of Lords, according to the Telegraph. On Thursday morning, Lord West of Spithead, a retired senior officer of the Royal Navy, told the House of Lords on Thursday that the Army and GCHQ have developed the capability to both jam drones and over-ride their control systems enabling them to land the aircraft safely. Talking to Aviation Minister Baroness Sugg, he said: "Our military and GCHQ have developed the ability to be able to identify the frequency very rapidly to actually be able to jam it or take control of the drone and land it. In any case, the headache from the drone incident will linger for longer than the drones are in the air. Airport authorities have said it could take days for the holiday disruptions to be resolved. Update (10:50 am ET): The Royal Army has been called in to try and help neutralize the drones that have brought traffic at London's second largest airport to a standstill, according to the Telegraph. The Army has been called in to help deal with the mayhem at Gatwick caused by drones flying near the airport. Sussex Police have formally requested the help of the military and a source told The Telegraph assistance could come in the form of helicopters, vans or soldiers on the ground. Ministry of Defence officials currently in a meeting to discuss whether or not they need to deploy, and how to do so. An MOD spokesman said: "There are ongoing discussions with the police about any military capability that could be provided to assist with their operation." The culprits responsible for piloting the drones have continued to evade capture. While Sussex police have said they can't shoot down the drones with conventional bullets for fear of unspecified collateral damage, we imagine they wish they were in possession of some experimental weapons designed by Lockheed Martin that could probably come in handy in London today. Australian air safety investigators are looking into a rare double flame-out on a twin-engine commuter plane descending into the nation’s capital. 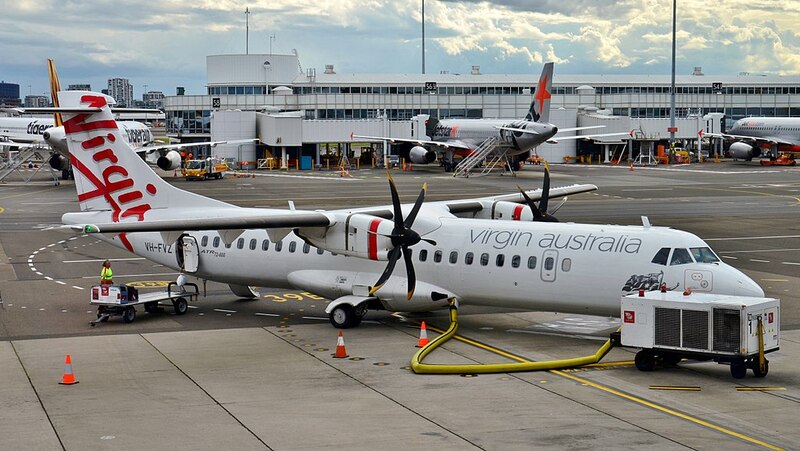 Both engines on a Virgin ATR-72-600 turboprop, registration VH-FVN, experienced problems near Canberra Airport on December 13. Although the disruptions were momentary and the aircraft landed safely, the probability of both engines shutting down during a flight is low and the Australian Transport Safety Bureau (ATSB) is treating the incident as serious. Turboprops use gas turbine engines to power the propeller and a flameout occurs when the flame in the combustion chamber is extinguished. A flameout is believed to occur once in every 100,000 non-military flights, according to Air & Space Magazine. “While the aircraft was descending through 11,000 ft in heavy rain, the right engine’s power rolled back (decreased) and the engine flamed out,’’ The ATSB said. “The engine automatically re-started within five seconds. “The descent continued and, while passing through 10,000 ft, the left engine’s power also rolled back and that engine flamed out before automatically relighting. Although engines are designed to cope with extremely heavy rain, experts say it is normal to switch to continuous ignition as a precaution when heading into storms. This allows an engine to quickly relight in the case of a flameout, as was the case with the Virgin ATR. The aircraft spent three days on the ground before being returned to service. Virgin said the incident had not impacted customers and it was assisting the ATSB with its inquiries. The ATSB has downloaded the flight data recorder and is gathering additional information that will be included in a final report. “Should a critical safety issue be identified during the course of the investigation, the ATSB will immediately notify relevant parties so appropriate action can be taken,’’ it said. There have been a number of instances of jet engines flaming out in bad weather, not all of them with the happy ending in Canberra. In 1977, a Southern Airways DC-9 was forced to land on a highway in the US state of Georgia after suffering hail damage in a thunderstorm and losing thrust in both engines. Sixty-three people died. In 1988, A Salvadoran Boeing 737 operated by TACA flew through thunderstorms around New Orleans when both engines quit. The crew managed to relight them but they would not accelerate from idle speed and dangerously rising tailpipe temperatures forced the pilots to shut them down again. The captain dead-sticked the aircraft into a levee embankment and ditched the plane without loss of life. In 2002, a Garuda Indonesia Boeing 737 flight encountered severe thunderstorm activity on approach to Yogyakarta and suffered a flameout in both engines. The pilots tried several times to restart the engines but were forced to ditch in a shallow river with the loss of one life. The list of 2018 fatal jet airliner accidents continues to grow after an 86-year-old Canadian passenger died after a Fly Jamaica Airways Boeing 757 veered off the runway in Georgetown, Guyana. Authorities initially reported six passengers were taken to hospital with minor injuries after the plane left the runway and was severely damaged November 9. That changed when it was revealed on November 18 that an 86-year-old Canadian woman died. The Aviation Herald reported the crew declared an emergency and returned to Georgetown after experiencing a hydraulic failure and attempted to land on Georgetown’s runway 06. It was initially reported the plane, with 120 passengers and eight crew, veered right off the runway. The Aviation Herald subsequently quoted a ground observer who reported the aircraft overran the end of the runway and hit a concrete barrier that caused the right main gear to collapse and the aircraft veer off the runway. 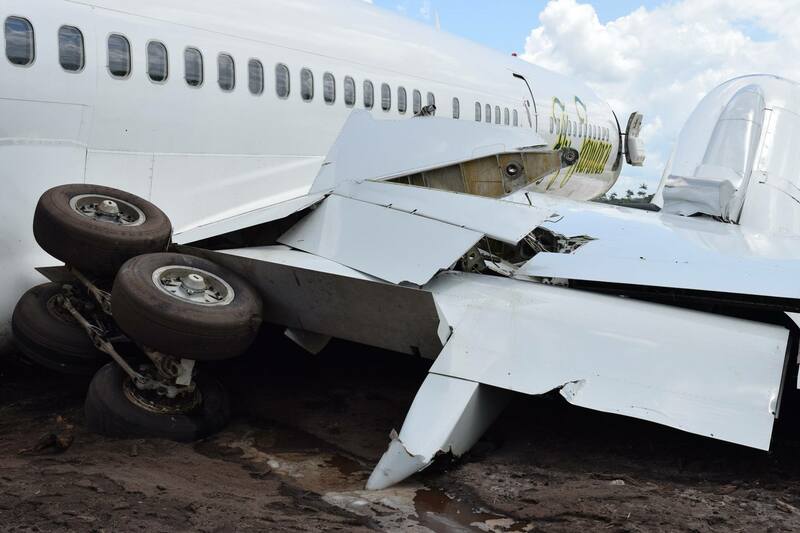 “The aircraft subsequently slid sidewards for about 275 meters coming to a stop abeam the upcoming new threshold as part of the ongoing runway extension,” it said. The Herald also noted it had been able to verify that the runway had already been lengthened by approximately 390 to 400 meters, the runway markings were already completed, the extension is still marked closed with crosses. Commercial aviation recorded its safest year on record in 2017 with no jet airliner crashes and just 10 fatal commercial aircraft accidents. The International Air Transport Association calculated a passenger on a commercial airliner in 2017 would have needed to fly every day for 6,033 years before experiencing an accident in which at least one person was killed. Fatal jet crashes this year included a Saratov Airlines Antonov An-148 in Russia in February that killed 71 people, a Cubana de Aviacion Boeing 737 crash in May with 112 fatalities and October’s Lion Air Boeing 737 MAX 8 crash involving 189 deaths. Boeing kept airlines and pilots in the dark about an automated background trim system on the 737 MAX that may be implicated in the first crash of the new model in Indonesia last month. The trim system, which is meant to improve pitch characteristics and stall protection, wasn’t even described in any of the documentation provided to pilots transitioning to the new aircraft. Lion Air JT610, a new MAX8 with only about 800 hours on the airframe, plunged into the Java Sea off Jakarta on Oct. 29, killing all 189 people aboard. Prior to the crash, the aircraft flew through repeated pitch, airspeed and vertical speed excursions before diving almost directly into the water about 12 minutes after takeoff. According to sources at two airlines operating the MAX series, the system in question is called Maneuvering Characteristic Augmentation (MCAS) and is intended to improve pitch response at high angles of attack. It was added to the MAX models partly because the aircraft has heavier engines than the previous 737 NG models and the airplane's center of gravity is biased more forward. MCAS is activated without pilot input and would typically come alive in steep turns with high load factors, but only when the airplane is being flown manually. According to a minimal description provided to AVweb, MCAS operates only in flaps-up flight and is inhibited in any other configuration. MCAS intervenes at a threshold angle of attack and automatically trims nose down at a rate of 0.27 degrees per second to a maximum of 2.5 degrees. Stabilizer input is lower at high Mach numbers, but more aggressive at low Mach. The Wall Street Journal said Boeing didn't disclose MCAS details to cockpit crews because it was worried about overwhelming them with more technical detail than needed or could digest. Boeing also said pilots were unlikely to encounter MCAS intervention during their normal flying. Pilots trained on the MAX weren’t given even minimal briefings on MCAS, according to an interview with Jon Weaks, president of the Southwest Airlines Pilots Association published in the Seattle Times early Tuesday. “We do not like the fact that a new system was put on the aircraft and wasn’t disclosed to anyone or put in the manuals,” Weaks told the Times. And both Boeing and the FAA have warned that the system may not be performing as it's supposed to. American Airlines, which also operates the MAX8, also provided its pilots with new documentation on MCAS hurriedly provided by Boeing after the Lion Air crash. Because MCAS relies on angle of attack data from the aircraft’s vane-type sensor, one focus of the Lion Air investigation is on the AoA sensor itself, which appears to have been replaced as faulty prior to the accident. The aircraft also reportedly had a history of unreliable airspeed indications. It's unclear if the two are related to the accident or how they affect MCAS operation. Boeing said Monday that it’s working closely with investigators and taking every measure “to fully understand all aspects of this incident.” Meanwhile, Indonesian investigators say they expect to release an initial report by the end of November. Australia’s crash investigator has found that faulty cleaning of fan blades by Rolls-Royce resulted in an engine failure on a Qantas A380 on route to Melbourne. The incident happened on May 20 last year about two hours after take-off as the crew initiated a climb to a higher flight level. Flight data showed that as the A380 passed FL 325, the No. 4 engine intermediate pressure turbine experienced an over speed and its N2 (Intermediate pressure shaft speed) increased from 92 percent to the red line limit of 98.5 percent over the next 2 seconds. The crew were presented with various warnings and reduced the thrust on engine No. 4 to idle. Then the engine fire warning message was displayed, which confirmed reports from the cabin. The flight crew shut the engine down and pushed the engine No. 4 fire button and discharged one fire retardant agent. The A380 was turned back to LA and landed without further incident. Initial engineering inspection of the No. 4 engine following the incident found damage to the low-pressure turbine blades. There was also minor damage to the right flap and flap fairing from debris exiting the rear of the engine. Rolls-Royce, the manufacturer of the aircraft’s Trent 900 engine, conducted an investigation into the engine failure that caused the shutdown and found that the cleaning process caused corrosion to the low-pressure turbine stage 2 blades. Rolls-oyce also maintains the engines for Qantas. Rolls-Royce advised the ATSB that it found another 12 engines with blades potentially affected by the cleaning process. As a result, the European Aviation Safety Agency released an Airworthiness Directive (AD), effective in June relating to the potential for blade corrosion due to residual cleaning contaminants. The US Department of Commerce has imposed restrictions on 12 Russian corporations that are “acting contrary to the national security or foreign policy interests of the US.” The notice has been published in the Federal Register. US corporations are banned from exporting dual-use goods to the sanctioned companies. A closer look at the list makes one wonder. The companies under fire have no relation to defense production and have no ties at all with the Russian Ministry of Defense. None of them have signed any contracts with the military. AeroComposite, part of Russia’s state-run United Aircraft Corporation, produces wings for the civilian MC-21 airliner, Aviadvigatel produces engines for military aviation, it has neither technology nor experience to get involved in defense projects, Divetechnoservice is a civilian diving equipment producer, Nilco Group deals in grain, oil products, steel, wood, port services, paper, electronic parts and cement. It’s not the military the US aims at this time. The real target is Russian civil aviation, which is on the rise. It’s enough to remember that as soon as Aeroflot Company announced its plans to acquire 100 Superjet SSJ-100 airliners instead of American Boeings, the US Treasury said it was considering the possibility of introducing sanctions against the Russian company Sukhoi, allegedly because its combat planes may have been used in Syrian chemical attacks. A closer look at the blacklist shows the US has sanctioned those who are involved in the production of civilian airliner Irkut MC-21. Aviadvigatel is to supply PD-14 and PD-35 engines, which cannot power combat planes. AeroComposite, a producer of composites, is responsible for the development and creation of the composite wing for the aircraft. The MC-21 will be the world’s first airliner with a capacity of more than 130 passengers to have composite-based wings. The estimated share of composites in the overall design is 40%. So far, the company has produced composite parts only for MC-21 and no other aircraft. True, the share of Russia-produced components is growing. Russia belongs to the club of the chosen. There are few aviation engines and composite wings producers in the world. The US wants no competitors. The way to deal with the problem is a sanctions war waged under the pretext of fending off imaginary threats to national security instead of fair competition. The US aims to strike the soft underbelly. Russia does buy some components for the MC-21’s black wing abroad. Black wing is specific revolutionary knowhow to radically enhance the aircraft’s performance and make the new plane attractive for foreign customers. The vacuum infusion technology used for mass production is a breakthrough achievement. The Irkut is the only aircraft in the world to combine a composite wing with a narrow-body. Today, only wide-body aircraft boast composite wings. Russia-produced composite materials make the aircraft lighter and consequently cheaper. Carbon fiber and binders may be a problem if sanctions are in place. The US Commerce Department knows where to hit. Engines are also a problem. Until now MC-21s have been powered by Pratt & Whitney engines. The PD-14 – the first new engine built in Russia since the Soviet Union’s break-up ­– is ready to take their place. It is 100 percent Russia-made. The PD-14 is going through tests with serial production expected to start this year. With PD-14 operational, MC-21 will have an advantage over the competitors – A320 and Boeing-737. Avionics is where Russia is lagging behind. Progress is there but it’s still a weak point. The aircraft’s production depends on Rockwell Collins. Honeywell, UTC Aerospace Systems, Goodrich Corporation, Hamilton Sundstrand, Eaton, French Thales, British Meggitt, Swedish CTT System and Israeli Elbit - each of them exports components for the new Russian airliner. It’s impossible to substitute all the imported parts in one fell swoop. The production of all the needed equipment in Russia will take time and effort. At the same time it would greatly spur the Russian airspace industry. Some components could be purchased in other countries, such as China, to give the industry time to meet the challenge. The worst outcome is a two-year delay in mass production of MC-21. It’s sad but Russia can live with that. The other consequence – the US sanctions in place can scare customers away. That’s the main goal the US is pursuing. The message is “Don’t buy Russian even if it’s civilian products, be on the safe side.” With no demand on the world market, the project may not survive. This is the way to nip the Russian competitor in the bud. The sanctions will also negatively impact the plans to build a Russia-Chinese wide-body airliner. Aviadvigatel is developing new engine specifically for this plane. Its PD-35 will have no analogues in the world. The project is the first and only challenge to the monopoly of Boeing and Airbus. Russia is the only competitor with experience of its own. The Soviet Union has built the Il-96, a four-engined long-haul wide-body airliner designed by Ilyushin. That’s why China joined Russia in the effort – it needs its expertise. The last thing the US wants is to see this project come into life. It praises free market until its monopoly is preserved. The emergence of competitors makes America forget its principles and shift to protectionist policy. International agreements and the rules of WTO become immediately forgotten. The Russia’s technological progress is met with punitive measures. Forget about Crimea, Ukraine, Syria, the Skripal poisoning story and other things not even mentioned by President Trump in his address to the UN Security Council on September 27. The US uses pressure to eliminate competitors and do away with any hope for fair competition. Washington protects Boeing by resorting to the policy of twisting arms. On September 24, the EU, Russia, China and Iran met on the sidelines of the UN General Assembly to agree on introducing a special purpose vehicle (SPV) to counter US sanctions against Iran. That’s the first and a very significant step to repel the US attacks. The EU, Russia, China and other nations face a common threat. They can unite and on their own rules while creating their own markets protected from American pressure with fair competition as the basic principle. If the US wants to be isolated, let it. It’s free to choose its fate but so are others. The time has come to teach the bully a lesson. 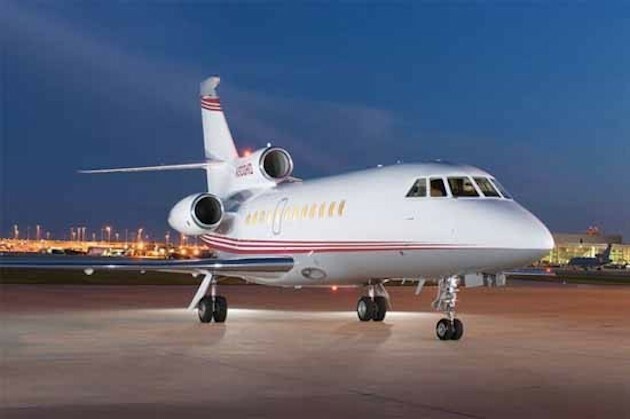 Another mishap involving jet-A contaminated by diesel exhaust fluid (DEF) occurred on August 14 when a Fair Wind Air Charter-operated Dassault Falcon 900EX was forced to make an emergency return to Miami Opa-Locka Airport after suffering failure of two of its three engines. DEF, a urea-based solution that lowers nitrogen oxide pollutants in diesel exhaust, is not approved for use in jet fuel. When the two are accidentally mixed, crystals form, causing potentially catastrophic clogs throughout aircraft fuel systems. According to Alexander Beringer, COO of Fair Wind, the problem manifested itself soon after takeoff, as the aircraft indicated a clog in its number-two engine fuel filter, followed quickly by the same indication in the number-three powerplant. The crew decided to return to base and then declared an emergency when the number-two engine failed. At 8,000 feet on approach, the number-three engine became unresponsive to throttle input, yet the crew landed safely on just the number-one engine, which also reported a filter clog. "We got lucky," he said, noting the entire incident occurred in less than 12 minutes from start to finish. 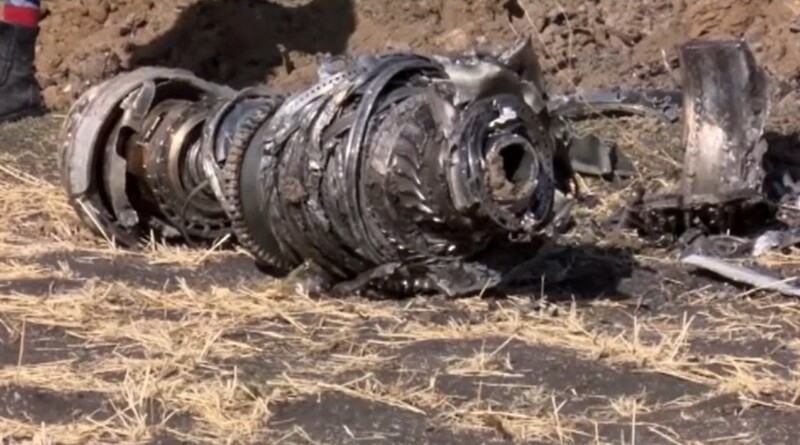 While the damage is still being tallied, Beringer noted that all three engines will have to be removed and undergo hot-section inspections; the APU will have to be removed, inspected and repaired; fuel pumps, filters, and control units will require replacement, and all the aircraft’s fuel tanks will have to be opened up and thoroughly cleaned. Estimates call for at least a month of downtime and more than $1 million in cost. Beringer said the FBO, which he declined to identify, has claimed full responsibility for the incident. "Their safety controls were good. It fell apart on one issue and that could have happened anywhere.” He said his company performed an on-site investigation and it is believed that a refueler-mounted Prist tank, which was removed for repair, was accidentally filled with DEF in a leak test before it was reinstalled. The FAA is investigating the situation and is expected to issue a Special Airworthiness Information Bulletin similar to the one it issued last December, after an incident at a Nebraska airport. Last November, seven turbine-powered aircraft at Omaha’s Eppley Air Field were serviced with jet fuel that had accidentally been treated with DEF instead of fuel system icing inhibitor, while a further six aircraft were serviced using equipment that had been exposed to DEF. Beringer believes that this mistake can happen again unless all airport service vehicles are exempted from any DEF-usage requirements. “That gets the fluid off airport properties and fixes it for good,” he told AIN. "The industry needs to petition, as a group with one voice, federal and state regulators to come up with a permanent fix to this risk." Istanbul’s Ataturk Airport has had multiple collisions on the ramp in recent months. Earlier today, a Royal Air Maroc B787 Dreamliner, taxiing to runway 35L for its flight to Casablanca, hit a Turkish Airlines B777-300ER, which had just arrived from New York JFK. After the collision, TK B777 had severe damage to its APU, while the RAM B787 has damage in its right wing tip. According to an ground employe, RAM B787 was being escorted by a “follow me” car during its taxi. The RAM Dreamliner, registration CN-RGT, and Turkish B777, registration TC-JJZ, were towed away to Turkish Technic for further investigation. After this accident, Turkish Airlines probably lost its one of the B777s for a long time which will make things difficult in this super busy summer schedule. In May, an Asiana A330 sheared the tail off of a parked Turkish A321 while taxiing at Ataturk. More recently, another Asiana A330 barely avoided colliding with a Turkish Airlines plane. Random acts of kindness are contagious! !